Cool nights and sunny days make Colorado crops, such as melons, peaches, corn, grapes, berries, squash and pumpkins, fresh and full of flavor. Take a tour of the state as we show off Colorado’s homegrown harvests, which typically begin in August, and stellar farmers' market finds. Palisade peaches. There's no question that these two words belong together. 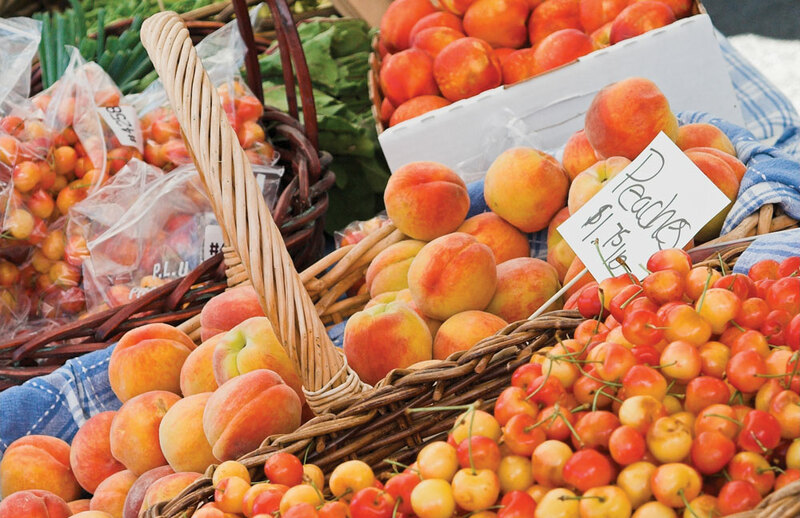 While the phrase itself sounds sweet, wait until you actually try the peaches from this Western Slope farm town (which is also synonymous with wine, as it's the heart of Colorado wine country). Sinking your teeth into the soft fruit will send sugary juices dripping down your chin and over your hands — but the small mess is worth the giant reward in flavor. 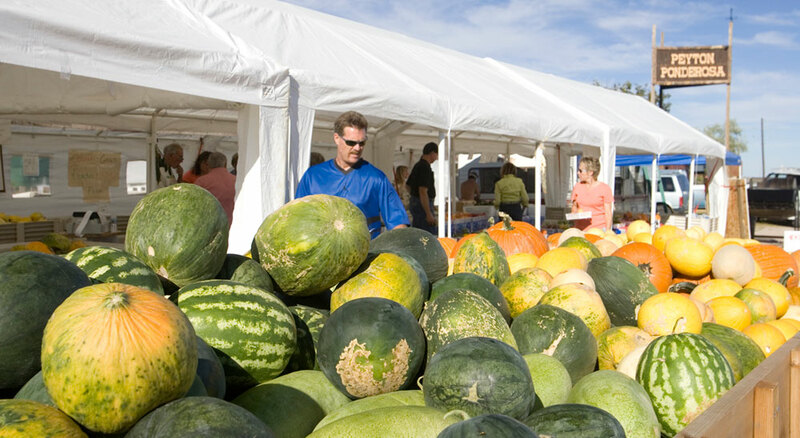 Rocky Ford in southeast Colorado is one of American’s premier melon-growing towns. Often, when people think about the best slice of cantaloupe they’ve ever had, it conjures up images and memories of outdoor barbecues and family gatherings. Relive these memories in the Rocky Ford area or other farmers' markets across the state, where this fruit is sweeter than your fondest memory of it. And don’t forget to sample the watermelon while in town. Whether you pick your own from the vine, or stop at a roadside farm stand, Colorado melons are delicious. In the southeast Colorado town of Pueblo, taste buds stand on end when visitors take a bite of the town’s green chiles, which can only be grown there. Hot, medium or mild, Pueblo’s chilies lend a little kick and a hearty flavor when eaten plain, mixed into an entrée or atop a tortilla chip. And if you think there’s a limit to what chiles can do, consider Pueblo’s flavorful concoctions, such as green chili jams and jellies, breads, stews — even beer. You’ll soon discover that whether they're fire roasted, barbecued or baked, Pueblo green chilies kick anything up a notch or two. The Front Range brims with orchards sprouting green, yellow and scarlet apples. In late summer, tree branches hang heavy with the shiny fruit. And when the season comes to a close in autumn, cider mills churn out delicious apple cider. And nothing goes with a glass of fresh, sweet cider like scenery showcasing the area’s fall colors. Check out the Colorado Farm Fresh Directory to find a farmers' market serving up this delicious fall treat. In the town of Olathe, situated near the western boundary of the Black Canyon of the Gunnison National Park, some of the finest sweet corn in the nation is grown. Cobs grow heavy on the stalks in the area, and when tasted, the kernels seem to melt in your mouth. In fact, the corn here is so sweet and tender that using butter is only an afterthought. At farmers’ markets, food vendors from around Colorado congregate. See heat radiate off the dull black finish of Pueblo chile roasters, hear the pop of their seeds and smell the smoky aroma of charred pods. Palisade peaches sit near Rocky Ford watermelons, farm-fresh tomatoes lend their red hues to the booths and sweet corn is roasted in the husk for you to enjoy right on the spot. This is your chance to taste the best of the state in one location. 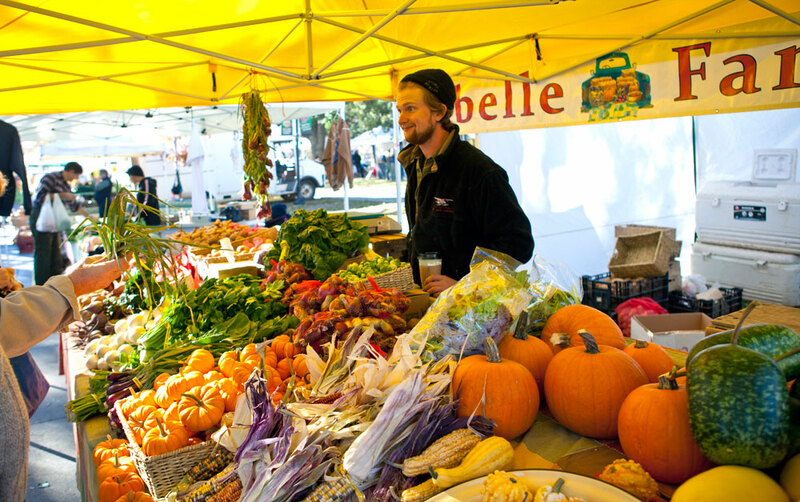 Find a farmer’s market in almost any of Denver’s neighborhoods during the spring and summer months and for markets in other towns, visit the Colorado Farmers Market Association or try the Colorado Department of Agriculture Farm Fresh Directory. 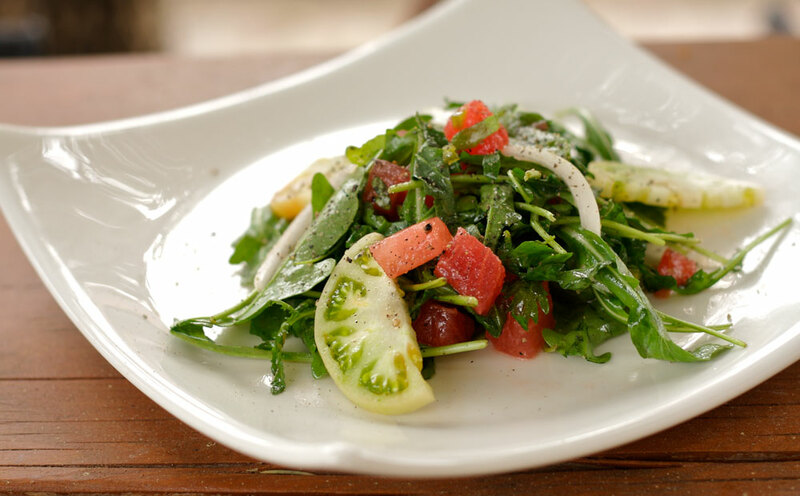 And check out our Culinary, Farm & Ranch Activities for more food-focused fun. Peaches photo courtesy of the Grand Junction Visitors and Convention Bureau.